In all the talk we hear about specializing and finding a niche, we shouldn’t forget that our clients come to us, first, for the knowledge and advice we give. Secondly, they come to us for the experience we provide them, and that’s what we’re discussing today. What do YOU provide your clients that another travel agent doesn’t? What are you doing for them that the online sites aren’t? If you think of life as a bowl of Cheerios, you want to be the Fruit Loop in that bowl that is remembered, anticipated with happiness, and enjoyed thoroughly. So, how do you enhance the client experience like a Fruit Loop enhances a bowl of Cheerios? You could provide gifts to your clients – it’s something I discussed in a previous article. But, that can get expensive, and giving repeat clients the same gifts would get boring and dilute the essence of the gift. Instead, why not consider enhancing the client’s experience for the specific trip you are working with? An easy way to handle this is with travel document presentation. Many travel vendors have eliminated the nice, fancy travel documents once issued in favor of electronic versions that save a lot of money, allow you to get the documents faster, but they eliminate the “ooh-ahh” factor that we all like for our clients. Receiving something tangible ahead of the trip that builds excitement and helps the client feel better about dropping thousands of dollars on a trip is so important, and it’s a place where you can really shine. Take FIT vacations for instance. 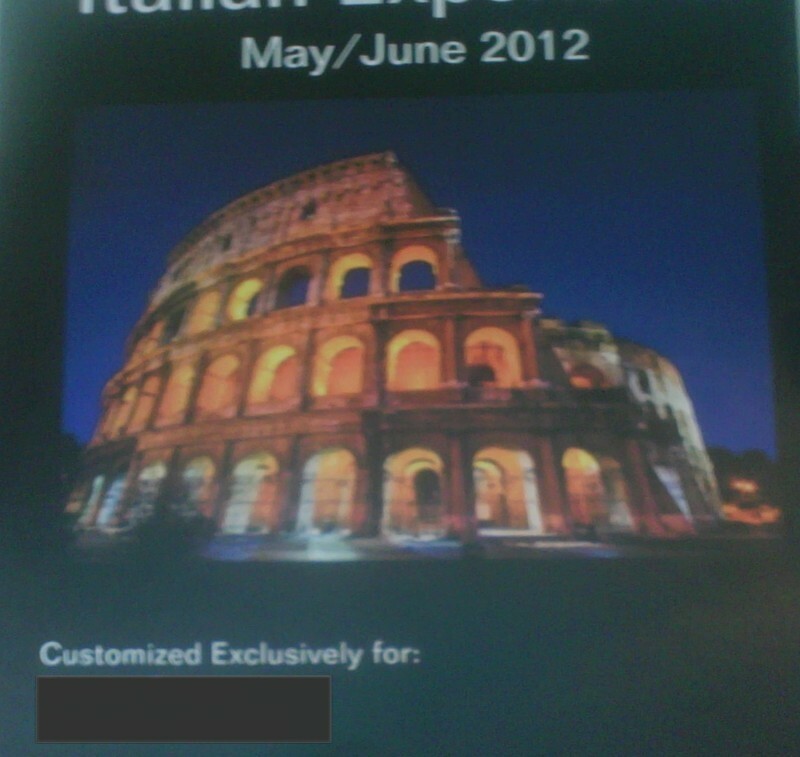 Custom vacations to Italy is one of my specialties, and often, I work with more than one supplier. So, receiving one set of e-documents is rather difficult. There are confirmations for airfare, train travel, sightseeing tours, and accommodations. There are recommendations to provide for meals, walking tours, and must-do’s. There are travel tips and warnings that should be conveyed, especially if the clients are first-time international travelers. Easily, this equals a mountain of paperwork that is difficult to distill into one manageable set of travel documents. Some folks have used iZento to capture all this information in a neat, transportable, book form. For me, personally, I like to go an extra step – I order customized three-ring binders from Zazzle.com. I choose an image that reflects the journey they clients are taking, and personalize the binders so that it can become a place to store mementos after the trip. Another place you can enhance the client’s experience is to provide customized packing lists – I have done this for all of my clients using a packing list with my company branding on it. You can find a wide variety of packing lists on the Internet that you can personalize, or develop your own, but including it with my travel documentation has always been welcomed by my clients. I usually include one packing list per traveler, and I try to customize the list with their trip information. What have you done to enhance the client’s experience working with you? I like the customized binder idea! I do a lot of honeymoons and i do the iZento journal with the addition of packing list and other personal recommendations for their destinations. I get each one bound at Fedex Kinkos offices and present them with the documents that come from the supplier (Classic, Pleasant, etc.) and do provide gifts for larger trips that do relate to their destination. 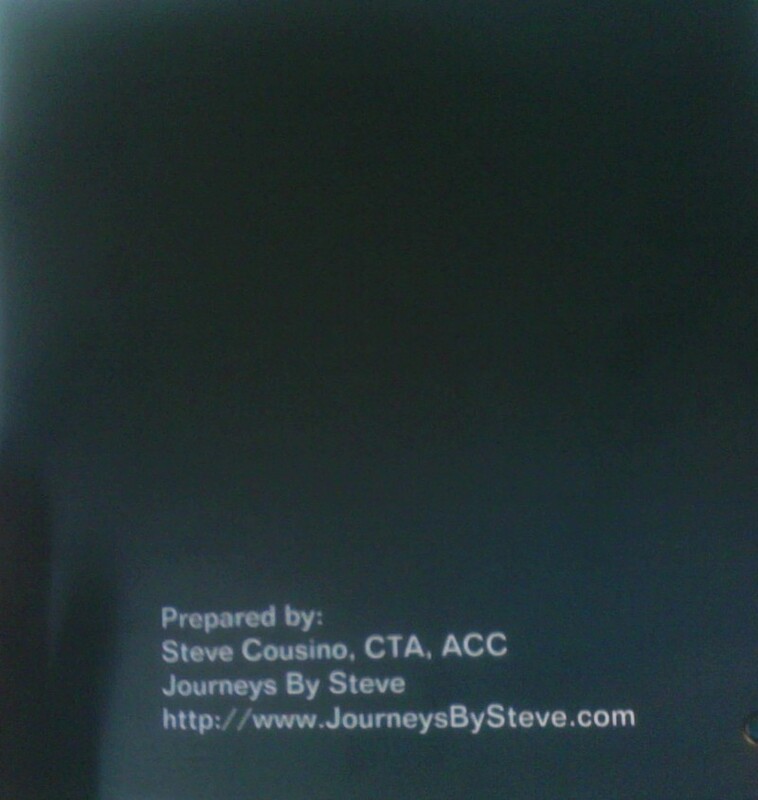 Do you use iZento journal information to include in the binder or what is your presentation, Steve? iZento has always been the WOW! factor for our bookings. We use Zazzle for our cards and stationary.